Brewer & Shipley were one of the most successful folk-rock duos of the early 1970's. 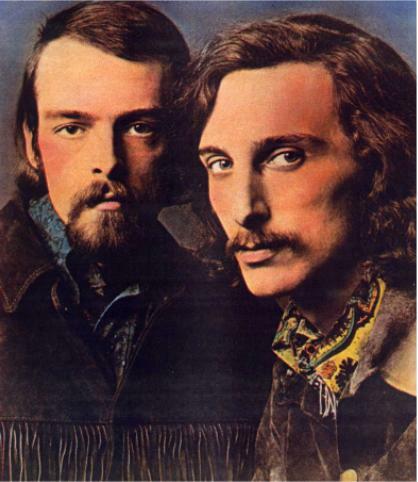 Working with such notables as Mike Bloomfield and Nicky Hopkins, the duo had a Top 10 hit in 1971 with the now classic "One Toke Over The Line" from their critically acclaimed album, "Tarkio". Concert engagements included such well-known venues as The Bitter End in New York and The Troubadour in Los Angeles, as well as other important folk/rock clubs. The selections on this album were originally recorded for the Kama Sutra label in the early 1970's. Their best selling hit "One Toke Over The Line", is featured on another Accord release - "Radio Active Hits Volume I" SN7181.